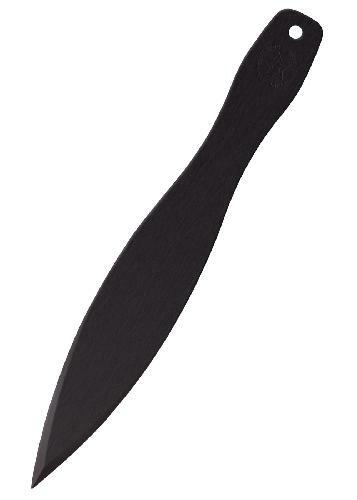 For many years now, Cold Steel has offered the ultimate in professional grade throwing knives. Their stout, heavy and superbly balanced throwers have become a mainstay in the throwing community and they make regular appearances in throwing competitions all over the world. Now, due to popular demand, Cold Steel is proud to introduce a new line of intermediate grade, inexpensive sport throwers. Made to the same exacting standards, and with the same hard spring tempering as the higher end models, these sport models are slightly thinner and lighter but with the same durability and balance that the customers have come to expect from Cold Steel's throwers. Throwing well and hitting hard when released from either handle or blade, the sport series throwers are available in three distinct blade designs. Suitable for any skill level, they are markedly less expensive than the original pro grade models and make it easier than ever to take up this enjoyable and rewarding pastime.